In Louisiana, the decision to get divorced is a major first step in the divorce process. However, a case may proceed only if the couple has first met the residency requirement. Next, one party must either prove marital fault or proceed under the no-fault ground of living separate and apart for a certain period of time. As part of the divorce, a Louisiana judge will divide all marital property evenly and determine custody on the basis of what is in the best interests of the child. To obtain a divorce in Louisiana, the residency requirement must be met. The law provides that one or both parties must be domiciled in the state for a period of at least one year prior to filing. The matter needs to be filed with the court in the parish where the non-filing spouse resides or where the spouses last lived as a couple. Louisiana law recognizes both fault and no-fault grounds for divorce. Fault grounds are present if a spouse has committed adultery or been convicted of a felony and sentenced to death or hard labor. Parties may also file under the no-fault ground of living separate and apart for the required time period. If the parties have children, the time period is 365 days. If there are no children of the marriage, or there is a finding of physical or sexual abuse, the time period is 180 days. Obtaining a divorce for a covenant marriage is more difficult, as spouses have taken an oath to stay married forever. 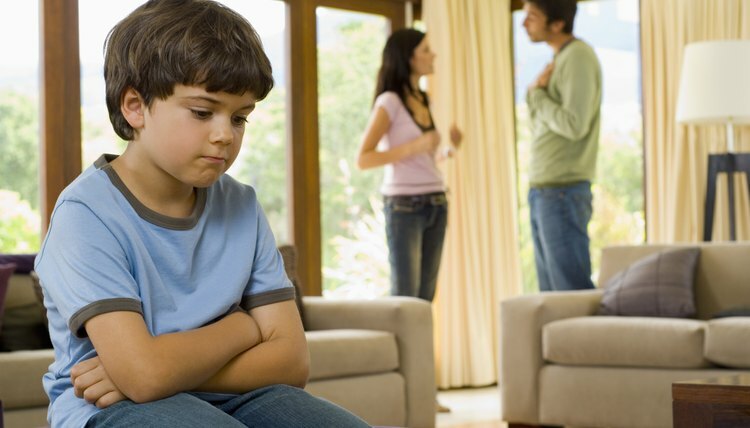 These marriages may only be dissolved after counseling and require a showing of fault, such as adultery or abandonment, or living separate and apart either continuously and without reconciliation for two years or one year after a judgment of legal separation, known as separation from bed and board in Louisiana, 18 months if there are minor children of the marriage. Louisiana is a community property state. This means that all marital property is divided evenly between spouses. However, not all property is subject to division. Property that is not marital property is separate and includes property acquired before the marriage or by inheritance to one spouse individually. It is important to understand that in determining community versus separate property, the law does not take into consideration who paid for the property or which spouse has his or her name on the title. Judges in Louisiana make custody determinations based on what is in the best interests of the child. While this can seem arbitrary, a judge is required to weigh certain factors in making all custody orders. These factors include the mental and physical health of each parent, distance between the parents' residences, and ability and willingness of each parent to facilitate and promote a close and continuing relationship between the child and other parent. Is it Illegal to Divorce a Pregnant Woman in Louisiana? If your wife is pregnant, laws about whether you can divorce her before the child is born vary among the states, but no jurisdiction makes it illegal. In some states, the judge puts the divorce action on hold until the child is born. In others, including Louisiana, you can pursue the divorce. How Long for an Uncontested Divorce in Louisiana If a Spouse Committed Adultery? In Louisiana, a divorce is uncontested when both spouses agree on the terms of the divorce, such as custody, spousal support and property division. For a no-fault divorce, Louisiana law requires that the spouses go through a waiting period. However, when one spouse proves adultery, which is a fault ground, the divorcing spouses do not have to go through a waiting period before the divorce is final.